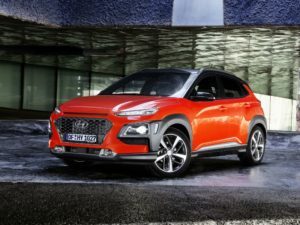 Hyundai is preparing hybrid and electric versions of its core models, but doesn’t see diesel engines losing much favour with fleets even with potential company car tax changes due in the next budget. The Kona crossover will be one of the first core models to get an electric drivetrain. UK president and CEO, Tony Whitehorn, said the company had seen increased fleet interest in small petrol engines, but added that running costs and taxation still favour diesels. In the short term, he said local congestion charges targeting areas of poor air quality are likely, as well as cost increases from WLTP compliance and meeting the new Euro 6c emissions standards are likely to steer demand more than reforms made to company car tax. However, there are signs of change. Around 5% of Tucson sales at the start of the year had petrol engines, but that reached 48% in October – albeit mainly through retail demand. Meanwhile, Ioniq order take was 700% above target in the same month, and year-to-date is outselling the Toyota Prius. Demand had been so high that the supply of plug-in hybrid and fully electric versions is struggling to keep up. Most European volume was being soaked up by its biggest markets for electrification; the Netherlands and Norway. So, for Hyundai, the aim will be to offer a full choice; an electric Kona crossover with a 300-mile range will launch next year, just ahead of a new hydrogen fuel cell vehicle, and it’s looking at opportunities to add hybrid and plug-in hybrid technology to its core model range. Meanwhile, an all-new line-up of petrol and diesel engines will arrive with new or facelifted vehicles over the next couple of years – an indication that both fuels have a long future globally.